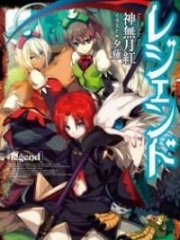 You’re reading novel The Demonic King Chases His Wife: The Rebellious Good-for-Nothing Miss Chapter 608 online at LightNovelFree.com. Please use the follow button to get notification about the latest chapter next time when you visit LightNovelFree.com. Use F11 button to read novel in full-screen(PC only). Drop by anytime you want to read free – fast – latest novel. It’s great if you could leave a comment, share your opinion about the new chapters, new novel with others on the internet. We’ll do our best to bring you the finest, latest novel everyday. Enjoy! The Crown Prince sought the pleasures of life, his courtyard mansions were built sumptuously, in the best district of the entire city. In this kind of a district, only high officials and n.o.bles comes and goes. Even these high officials and n.o.bles who wanted to purchase a house in the best district with the most expensive land, also found it extremely difficult. Because once this kind of residence was placed on the market, there would be countless people trying to s.n.a.t.c.h it right away, thus raising the price. The final sale price would often make people’s heartbeat speed up. But at this moment, the most gorgeously built residences in these districts, were set on fire by lots of bright torches. The residences that made countless people look up at, now were being mercilessly engulfed by a large fire. The flames soared, dark smoke curling up. The group of people that set the fire were like fiends with an imposing and threatening manner. n.o.body dared to approach, they could only stand far in the distance, pointing the fingers of blame. Among the people, His Highness Prince Jin’s reputation was always celebrated. By comparison, His Highness Crown Prince was dull without any light. Because of the constant, heartfelt wors.h.i.+p for His Highness Prince Jin, the public opinion would overwhelmingly lean towards Nangong Liuyun. When Su Luo, who was hidden among the crowd while watching this play, heard these people’s comments, she couldn’t help shaking her head with a forced smile. That the matter of looting and plundering could be praised and approved like this since time immemorial, it could have only happened because of Nangong Liuyun, right? Su Luo really couldn’t understand. According to Nangong Liuyun’s cruel, arrogant and untamed nature with volatile mood swings that’s brutal and reeking of blood, the ma.s.ses ought to only respect him from a distance. At least, he should be regarded as the existence of a baby crying at night. However, reality was quite the opposite. No matter how b.l.o.o.d.y Nangong Liuyun’s behaviour was, or how excessively far he took it, people would still praise him to the heavens. In their eyes, everything His Highness Prince Jin did was right, if it was wrong, then definitely, it was the other party’s fault. This kind of incomparable and unconditional trust, in the end, how did it come about? Su Luo was extremely curious about it. The entire imperial capital were all stirred up, then where was the Crown Prince from the party that was involved? This conversation must start in the wee hours of the morning. At that time, the Crown Prince was pacing in his room. He paced and paced, suddenly thinking of that time when he built the Crown Prince’s Manor. He had built a secret pa.s.sageway underneath his study that led to the imperial palace. This secret pa.s.sageway, outside of he, himself, even the emperor didn’t know about it. At that time, the Crown Prince’s eyes lit up and directly selected to escape. It seemed to him, Nangong Liuyun was a person who valued his face very much, so if he wasn’t there, then Nangong Liuyun wouldn’t make a huge disturbance over this matter. Then, this matter would be settled by leaving it unsettled. Therefore, at that time, he had fled without the slightest hesitation. However, what he didn’t know, was that this time, the person who provoked this hatred happened to be Liangdi Meng, who he had favored the most from before. Thousands, no, ten thousands of should not, this Liangdi Meng should not have offended Su Luo. Nangong Liuyun never held a grudge, because if he had a hatred, he naturally would avenge it on the spot. But, if someone dared to offend his treasured Luo Luo, then, it wouldn’t be as simple as avenging a hatred. This hatred would also bring disaster to their relatives. 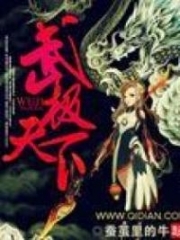 You're reading novel The Demonic King Chases His Wife: The Rebellious Good-for-Nothing Miss Chapter 608 online at LightNovelFree.com. You can use the follow function to bookmark your favorite novel ( Only for registered users ). If you find any errors ( broken links, can't load photos, etc.. ), Please let us know so we can fix it as soon as possible. And when you start a conversation or debate about a certain topic with other people, please do not offend them just because you don't like their opinions. You're reading The Demonic King Chases His Wife: The Rebellious Good-for-Nothing Miss Chapter 608. This novel has been translated by Updating. 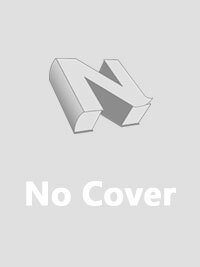 Author: Su Xiao Nuan,苏小暖 already has 12151 views. Current Time is Apr-21-2019 02:19:32 AM.